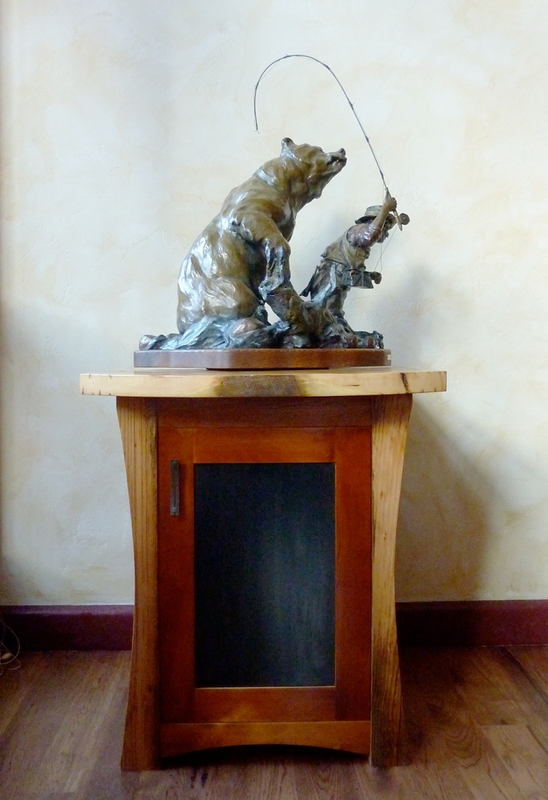 Last fall I was commissioned by a lovely couple in Breckenridge to make two pedestals to display their fabulous sculptures by Walt Horton: “Catch ‘N Release” and “Two for Dinner”. They wanted pedestals to compliment the different wood elements in their home. The pedestals are made of reclaimed barn wood. The doors and sides have steel panels with a custom patina.